When we asked how you'd change Nikon's 720p-recording D90 DSLR, many of you globe-trotting photogs let out wistful sighs, gazed at the brightest star, and wished with all your might for automatic geotagging of photos. Like some trickster genie, Nikon is granting your wishes, but we're not sure the GP-1 GPS add-on is exactly what you had in mind. 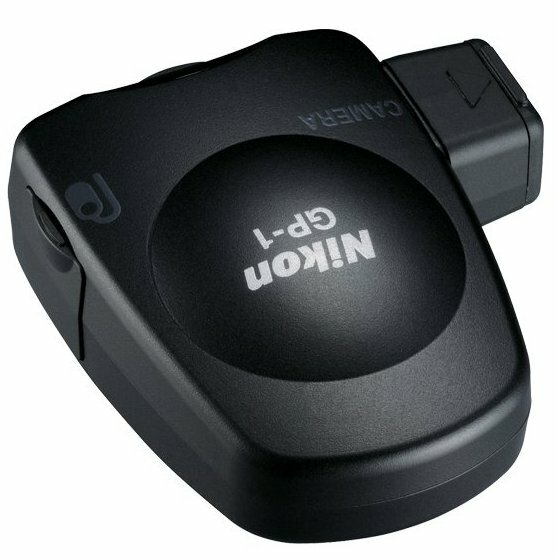 It slots into the hot-shoe on most cameras (clipping onto the strap for a few) and uses an unwieldy looking cable to connect to the body of your D200, D3, D700, D90, D300, or D3X. We can't say that we're particularly fond of the device's means of indicating status, either: red blinky light = no satellites; green blinky = three satellites; green solid = four satellites or more. C'mon Nikon, for $240 you couldn't integrate that cable into a hand strap and put more than two LEDs up in there?